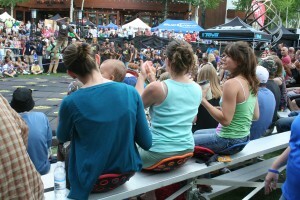 This past weekend BackJoy went up for a weekend in Vail to particpate in the Teva Mountain Games. There we set up our booth in Slackers Village, the portion of Vail Village that held the slacklining challenge. Gibbons Games held the event for the new and upcoming sport of slacklining, which drew a crowd for many. Lucky enough the fans were able to take aseat with a Posture +, and enjoy the games with great posture and comfort. 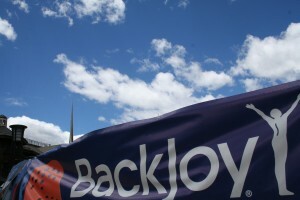 It was a pleasure for BackJoy to see all the particpants in every sport, and even meet new supportersof our great product! Check out some the pictures we were able to capture of the weekend. Enjoy!